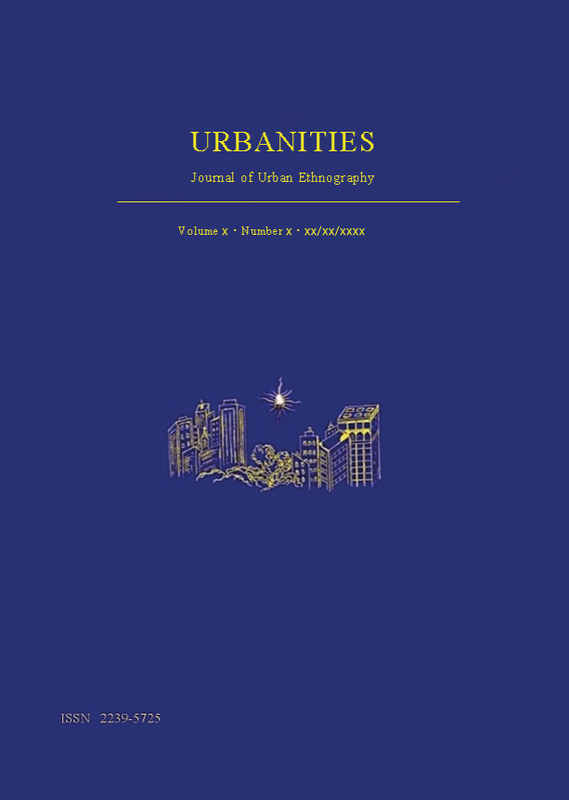 Urbanities is an open-access peer-reviewed international academic journal launched in 2011. It is published on-line twice a year, in May and in November, by ildenaro.it in association with the International Urban Symposium (IUS) and the Commission on Urban Anthropology (CUA). Publication on paper is currently under discussion. Urbanities publishes original ethnographically-based studies at the forefront of anthropology, sociology and other social sciences and the humanities. Urbanities aims at exploring new trends and debates in Urban Ethnography that promote critical scholarship and at highlighting the contribution of urban research to the broader society. Urbanities publishes supplements to volumes. Supplements are edited collections included in the main journal volume and published accordingly on the website. Supplements are peer-reviewed to the same editorial standards as the journal’s regular issues, are indexed and citable in the same way as all articles published in regular journal issues and are open-access; they can be read and downloaded free of charge. Urbanities welcomes contributions from new and established scholars, researchers and practitioners who can make a valuable contribution to the subject matter and to international scholarship. Urbanities publishes full-length articles, review articles, comments, book reviews, film and video reviews, obituaries, news on research done and in-progress and on recently completed doctorates. In order to stimulate debate, Urbanities encourages publication of letters and comments. It also publishes brief announcements of forthcoming conferences and other relevant events, conference reports, university courses and jobs; announcements from Publishing Houses.